I'm playing the Witcher 3, and I'm having a really hard time describing how big the game is because the metrics we use for game size don't make any sense in this context. We usually describe games in terms of hours (Mass Effect is 30 hours long) or square area (Skyrim is eight square miles), but both of those measurements fail to convey the massive difference in size between Witcher 3 and other games in the genre. I'm really guilty of talking about games in terms of area, because I'm a programmer who spends a lot of time making game space and so it feels really natural to me to think of games in those terms. But more gamespace doesn't always mean more game. Minecraft has a theoretical upper limit of 4.7 quadrillion miles - millions of times larger than Earth. If you made the game hundred million times smaller, it would still be far larger than anyone could possibly find useful. Similarly, Daggerfall could have been made a thousand times smaller without impacting the amount of useful or interesting content in the slightest. More space doesn't always mean more game, but we associate large spaces with open world games and so it's easy to fall into a mindset where square area feels like a good measure of how "much" game you're getting for your money. On the other hand, as a game reviewer-type person I often think of games in terms of hours. That probably makes more sense than measuring a game in terms of surface area, but it's still a lame way of conveying how much game there is. There are plenty of games out there that boast tens or hundreds of hours of gameplay, but spend much of their time on repetitive, grindy gameplay. This is a little harder to quantify, since one player's monotonous grind is another player's engrossing pastime. But at least we should be able to agree that time is not a universal measure of game value, and there are lots of titles that could be improved just by making them shorter. I think the real measure would be something like "richness". As in: How much unique, interesting, varied, entertaining content does this game have? It's not something you can assign a number to, but it's the concept we're always dancing around when we're trying to quantify the size of a game. Going by this measure, I'd have to say that the Witcher 3 is the largest single-player game I've ever played. I don't know how big the Witcher 3 map is compared to Skyrim, but I do know it's packed with detail at a density that dwarfs anything Bethesda has ever put out. If you measure in terms of unique towns, unique buildings, named characters, monster variety, dungeons, and climates, then Witcher 3 is easily worth several Skyrims. I'm 75 hours into Witcher 3. By the 75 hour mark in Skyrim I'd seen every town multiple times and talked to most of Skyrim's inhabitants. But in Witcher 3 I feel like I've been exploring non-stop for days and I've still only seen a fraction of it. I don't know how long the Witcher 3 is in total hours (haven't beaten it yet, and I gather it's incredibly variable based on how much sidequesting you do) but it's massive in terms of raw content. The sheer density of detailed sidequests with complex, unique, fully voice-acted characters is staggering. A couple of years ago I played through all three Mass Effect games back-to-back. My Witcher 3 play-through is still in progress, I've been skipping a lot of side content, and yet I've already seen more quests, cutscenes, and characters than the entire Mass Effect trilogy had to offer. It's not just the story that's dense. Even the gameplay is exceptionally diverse. There's "detective investigation" from the Batman Arkham games. "Follow a bloke around the city" from Assassin's Creed. "Enter an area and kill all the guys and take all the stuff" from Skyrim. There's "dialog with nobles and peasants to sort out their problems" from Dragon Age. The Suicide Mission from Mass Effect 2. There's "close all the portals that are spawning foes" gameplay from a bunch of different games. There's "hang out with your friends and go on dates" from every BioWare game of the last decade. There's combat in boats, combat on land, combat on horseback, combat on foot, combat with groups, combat against bosses, combat against flying creatures, combat alone and combat with ally support. And of course there's crafting and brewing and gathering and looting, as you do in these games. Imagine if you took all three Mass Effect games and chained them together, then shortened all the combat sections from 15 minutes to three. Then added even more talking. That's not a game for everyone. But it is a remarkable game, and there's nothing else that holds a candle to it in the genre of traditional western RPGs. 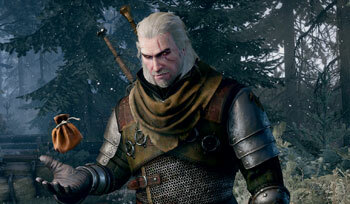 Understand that I'm not saying this makes Witcher 3 a better game. In fact, it might actually be a little too much game for me. I'm sort of restless to see the story conclude somehow, and I'm not even sure how much farther I have to go. Playing this game feels like trying to get through a late-period Stephen King novel. None of it is bad, but there's way more of it than I need. 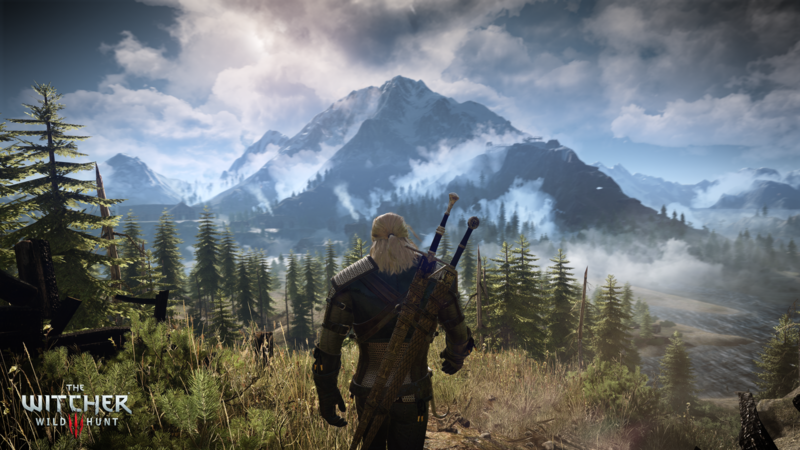 While the sheer scale of Witcher 3 doesn't make it a better game, it does underscore how inadequate our usual metrics are for measuring game value. If I tell you it's "X times larger than Skyrim" you'll probably imagine a bunch of copy-pasted towns with lots of empty space between them. And if I tell you the game is (say) 200 hours long, you'll probably imagine you're going to spend most of that time fighting the same few monsters over and over. But Witcher 3 defies description. It's a gigantic game, but it's gigantic in ways that other titles don't even attempt. In an age where games budgets seem to be running out of control and developers are trying to keep from going broke, CD Projekt RED has made this insane game where it feels like every bloody peasant has their own backstory, quest, appearance, and unique voice performer. I have no idea how this thing got made, or how the developer didn't go broke in the process. Shamus Young is a programmer, critic, comic, and crank. Have a question for the column? Ask him! [email protected].